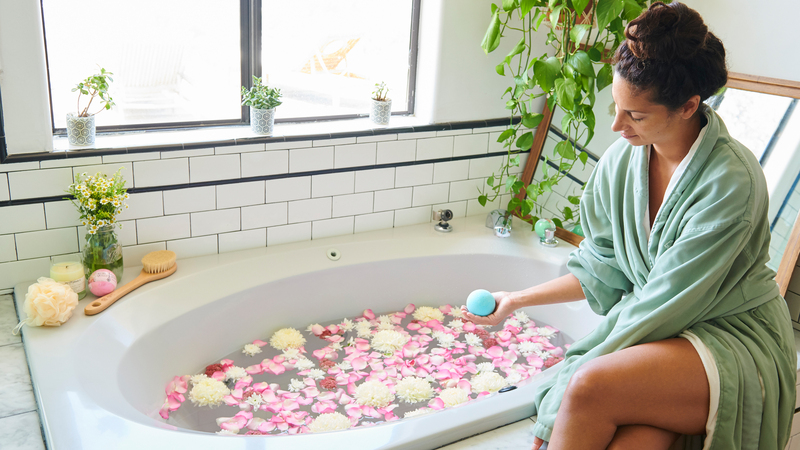 Bath bombs have been a trend in skin care for the past few years—not just because the colorful orbs makes bathwater look cool, but because they contain essential oils that can elevate a typical relaxing soak to another level. Add THC and CBD to the mix, and there are a slew of other benefits to enjoy. Kush Queen creates THC-infused bath bombs that contain nourishing essential oils such as lavender and chamomile. We wondered what would happen if five people completely new to the THC bath bomb experience tried out a cannabis-packed soak for the first time. Below, check out their honest reviews of Kush Queen’s Relax, Love, Relief, Sleep, and Awaken bath bombs—and then, grab your own at a MedMen marijuana retailer near you.